After a prospective company applies to pitch before Charleston Angel Partners, we conduct an initial screening and analysis of their submitted documentation. If a company meets our internal criteria they are invited to participate in either a meeting or conference call with one or more of our team members. Following this initial meeting or call the company may be invited to pitch before the group at one of our monthly meetings. Following a 15 minute presentation before the membership the presenter will be asked to step out of the room while the membership decides whether to have the company proceed to due diligence. The Charleston Angel Partners team and a selection of members with relevant skillsets will form a due diligence team and review the company's submitted due diligence package, this period typically takes about two months. Once due diligence comes to a close, the company is asked to return for a final Q&A session with the group. When a final decision is reached, members typically have three weeks to commit to the amount they are interested in investing. 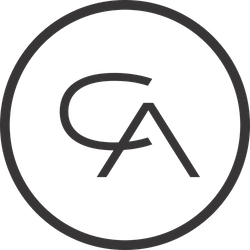 The aggregated investment is wired from Charleston Angel Partners to the new portfolio company.